The Podcasting Manual by Blubrry provides everything you need to know about podcasting, including the most up-to-date information for podcast creators, consumers and businesses. The content in the manual is easy to find, to the point and relevant. Whether you’re a new or seasoned podcaster, an avid listener/viewer, or simply someone interested in podcasts, we have something for you. Go ahead; it’s easy. Use the navigation on the right to explore the site. The Podcasting Manual is the result of a bunch of us podcasters – who are also the founders of Blubrry.com – going to meet-ups, podcamps and expos preaching our love, passion and knowledge of podcasting. It dawned on us that we had all this information about podcasting, but nowhere to put it. Yeah, we’d like to think we know everything about the discipline but we don’t. That’s why we look to you, the community, to help us provide content. If there is something you’re looking for that you can’t find, let us know and we’ll get back to you ASAP. If we’ve missed something send it to us. Your input is appreciated. 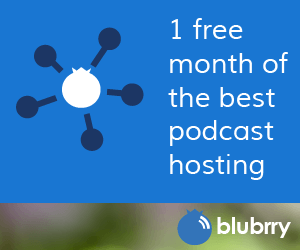 Blubrry created the Podcasting Manual to help the podcasting community grow and mature. And sure, we do hope visitors who take advantage of this resource will consider using other Blubrry products and services. But our overarching goal is simple: to build the most extensive, comprehensive podcast resource in the world.